Product code: 478 Categories: Sold Items, Sold Watches. This is a wonderful chiming clock by the well known French clock maker Japy Freres, dating from the early 1900’s. It is fitted in a wonderful balloon shaped case, with the most delightful mahogany inlay, and the entire case sits upon very sweet brass feet. The 8-day movement has been fully serviced, and has a very sweet chime on the hour and half hour. 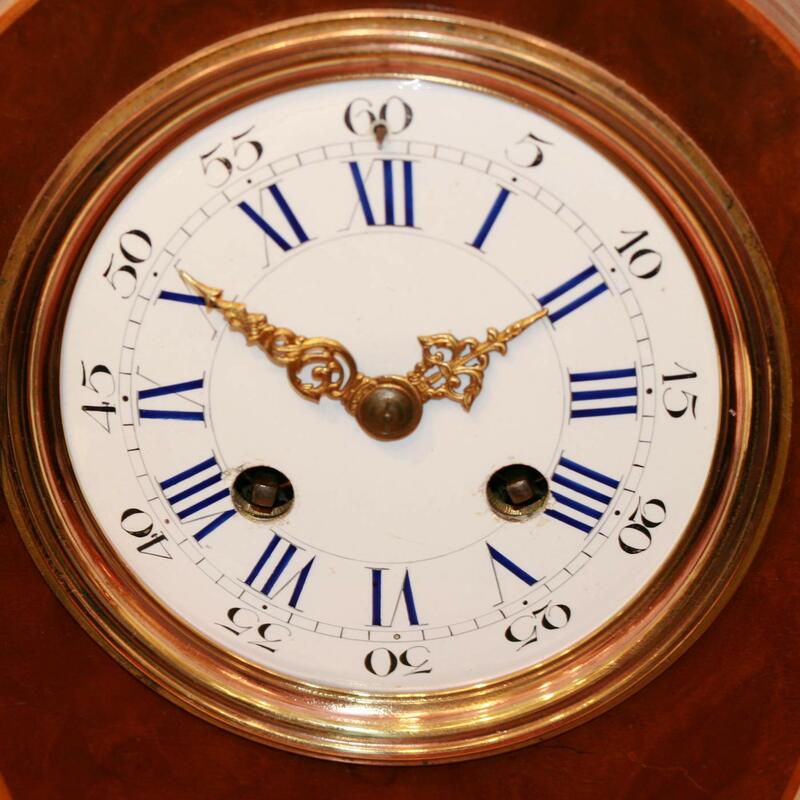 With an original dial with Roman numerals and numbers and the most beautiful hands, it is a clock that will be admired by all. 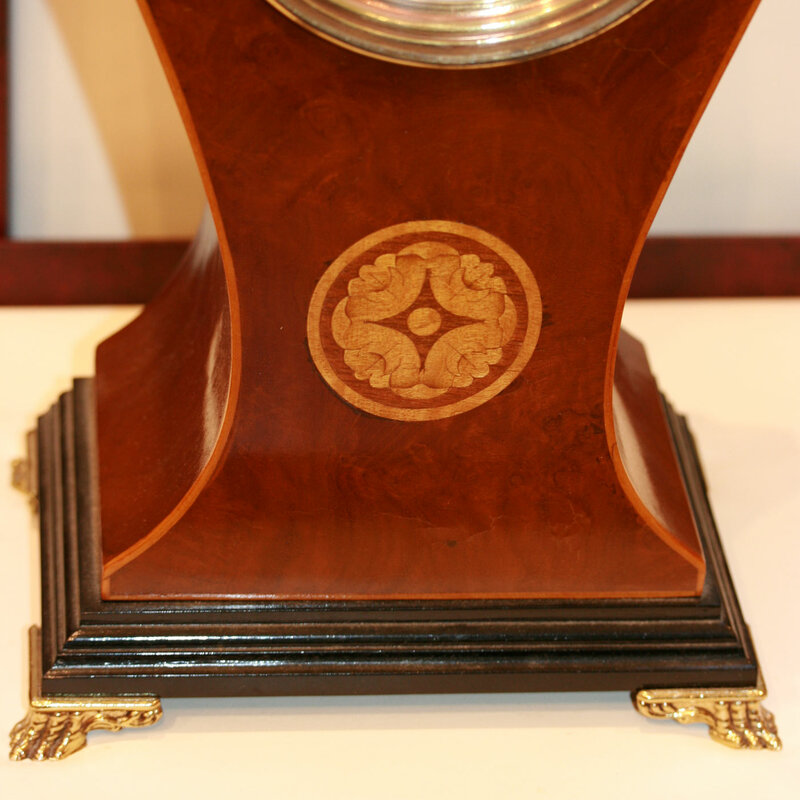 The clock measures 30cm in height, making it perfect to sit upon a mantle.